Plastic Surgery Associates was recently named on Allergan’s annual list of Top 100 providers. The staff at Plastic Surgery Associates is honored to announce that their practice has been named in Allergan’s Top 100 providers of 2018. 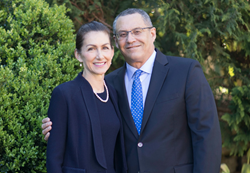 Founded by Heather Furnas, MD and Francisco Canales, MD, Plastic Surgery Associates is one of Northern California’s most sought after cosmetic surgery practices. Allergan, the maker of game-changing products such as Botox Cosmetic, Juvederm and Latisse, is one of the country’s most prolific providers of injectable and soft tissue fillers. Their newest products include Vollure, for deep wrinkles, Volbella for plumping lips and Kybella, eliminating the double chin. Allergan produces noteworthy pharmaceuticals used across medical specialties, including dermatology, medical esthetietcs, eyecare and plastic surgery. With operations in more than 100 countries, Allergan is considered a world-wide leader in the pharmaceutical cosmetic industry. Once a year, Allergan releases a listing of its top providers from across the country. Boasting more than 23,000 provider accounts, only the most elite practices are able to make Allergan’s ‘Top 100’ list. To be part of the company’s highly coveted listing, an aesthetic practice must offer a wide variety of products to a high volume of patients, all within the safest of environments. Only highly trained injectors apply their treatments, ensuring the desired, natural-looking results. Earning a spot in Allergan’s ‘Top 100’, Plastic Surgery Associates is dedicated to bringing clients cutting-edge, noninvasive facial rejuvenation techniques. Through the years, Dr. Furnas and Dr. Canales have cultivated a select group of highly-trained aesthetic professionals, committed to high-quality of patient care. As a top-rated practice, Plastic Surgery Associates has the ability to offer unique promotions and special rates from Allergan, reserved especially for their most prolific providers. This ensures patients receive both the best value and exceptional results. Go to Allergan for more information on the leading pharmaceutical cosmetic manufacturer and their ‘Top Provider’ distinction. To learn more about Plastic Surgery Associates, or to schedule a consultation with Dr. Furnas or Dr. Canales, contact the Santa Rosa office at 707.537.2111.